"When coatings such as paint, ink or even outer layers on tablets are made, they work by spreading a liquid containing solid particles onto a surface, and allowing the liquid to evaporate. This is nothing new, but what is exciting is that we've shown that during evaporation, the small particles push away the larger ones, remaining at the top surface whilst the larger are pushed to bottom. This happens naturally." Dr Fortini continued, "This type of 'self-layering' in a coating could be very useful. For example, in a sun screen, most of the sunlight-blocking particles could be designed to push their way to the top, leaving particles that can adhere to the skin near the bottom of the coating. 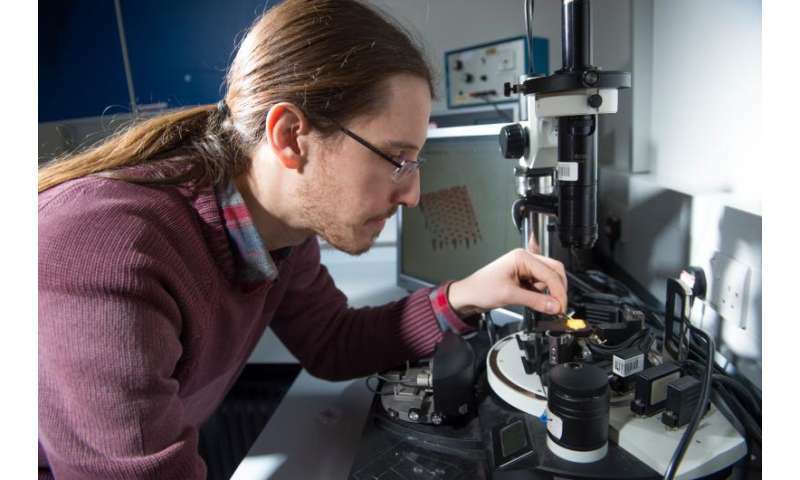 Typically the particles used in coatings have sizes that are 1000 times smaller than the width of a human hair so engineering these coatings takes place at a microscopic level. " Interestingly, particles that are loose in a container tend to push the large pieces toward the top (the brazil nut effect in a can of mixed nuts). I might wonder if the two processes could be used to tune where the particles are located? That leads me to realizing that nuts in a container are in a fluid, just as paint particles in solvent are in a fluid. Densities and viscosities are different. Do we dissolve particles in air? Would it have the same effect as the paint particles in solvent?